Hey everybody, happy hump day to you! You know what hump day means (other than the halfway point in the work week)? At this time of year it means 3 days ’til college football Saturdays! If you’ve been to the blog before you may have noticed that I live in Columbus, Ohio (The Buckeye State), and like many other thousands of Ohioans, we celebrate football Saturdays like holidays! Whether we’re tailgating or home-gating (v. the act of watching football and eating tasty tailgating recipes while in the comfort of one’s home), like any holiday, the food offerings are key, and easy tailgating recipes are even more key. 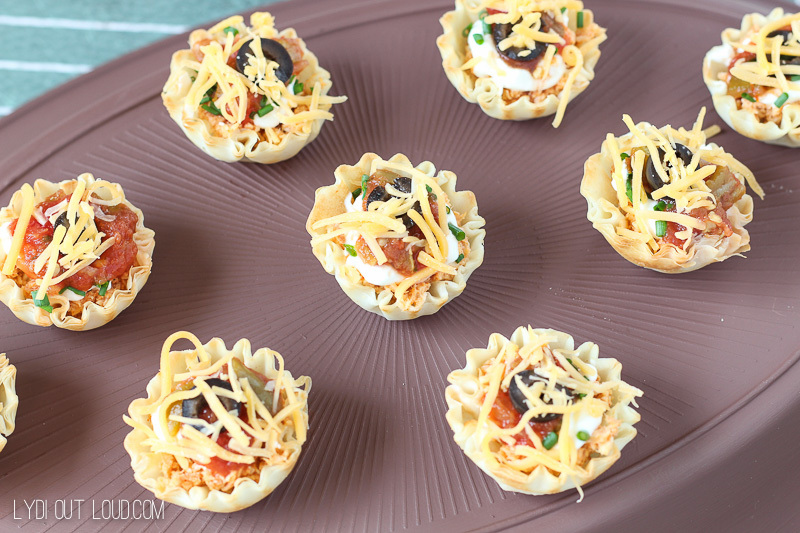 Chicken Taco Bites and Easiest Ever Football Bean Dip are 2 staple tailgating recipes not only because are they delicious crowd-pleasers, but because they can be made ahead and are super quick and easy to make. 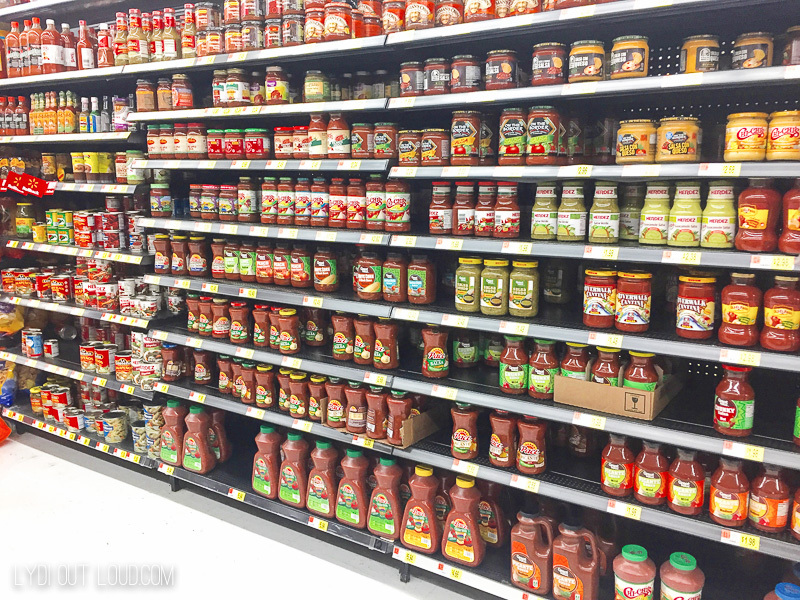 Head to Walmart for the ingredients and grab 2 jars of Pace® Chunky Salsa (it’s in both recipes). 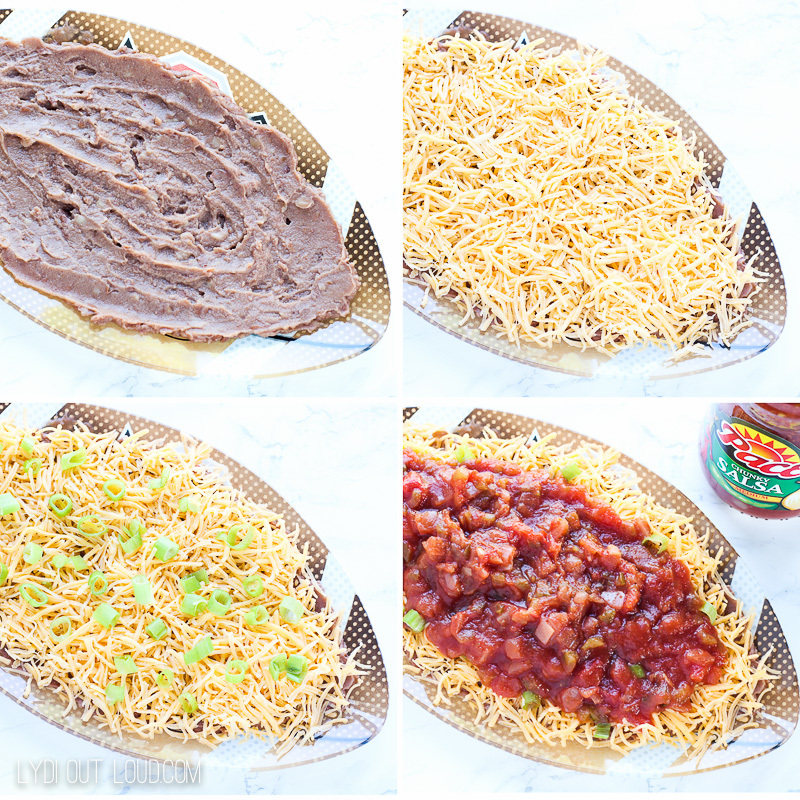 I’m a day late for Taco Tuesday and #NationalTacoDay, but these delicious bites deserve their own day! They have a nice kick from the handpicked jalepenos in the Pace® Chunky Salsa and are a truly grab and go appetizer, making them the perfect portable tailgating recipe. Bake chicken breast for 20 – 25 minutes at 400º. Cut into chunks and add to food processor, along with taco seasoning and water; pulse chicken until it is chopped. Note: Using a food processor is my favorite way to shred chicken too… perfectly shredded in about 2 – 3 pulses! Note: I usually make the taco seasoned chicken beforehand; then it’s so quick and easy to just pop it into the microwave for about 35 – 45 seconds before filling the cups. 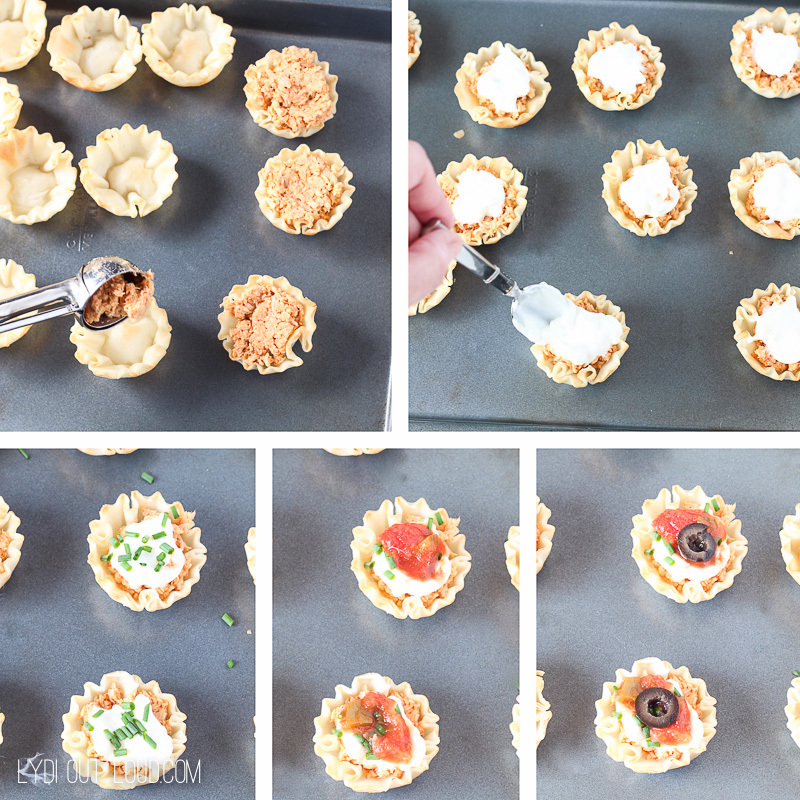 Add warm taco chicken to phyllo cups and bake for 10 minutes at 350º. Remove from oven and top each with about 1 teaspoon sour cream, a sprinkling of chives, about 1 teaspoon salsa, 1 sliced black olive and a sprinkling of shredded cheese. And when I say easiest, I mean easiest. 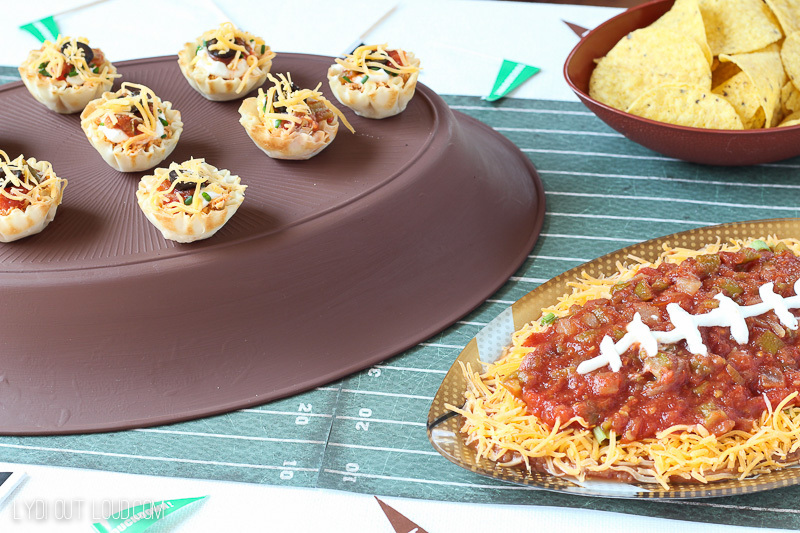 The hardest part of this recipe was finding the perfect football shaped dish to serve it in. 😉 But don’t let the shortness of time to prepare it make you think it’s short on flavor because that isn’t the case. This dip gets a southwest flair from Pace® Chunky Salsa which is a delicious balance to the creaminess of the beans, the tang of the sour cream and the sharpness of the cheese. Spread heated beans across bottom of dish (bonus points if it’s shaped like a football 😉 ). Top with shredded cheddar, green onions and salsa. Add sour cream to a plastic ziploc bag and cut off the corner. Pipe sour cream on top to make the football laces. Serve with tortilla chips, pita bread or veggies. These tailgating recipes are easy breezy, right?! 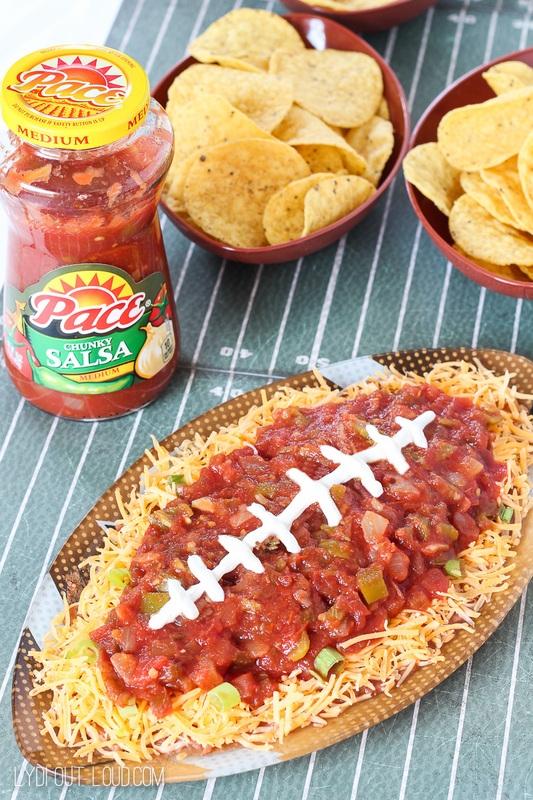 So who is your favorite team to cheer on, and what are your favorite tailgating recipes to eat while you do it? Too cute…and delicious! Thanks for sharing at Funtastic Friday. 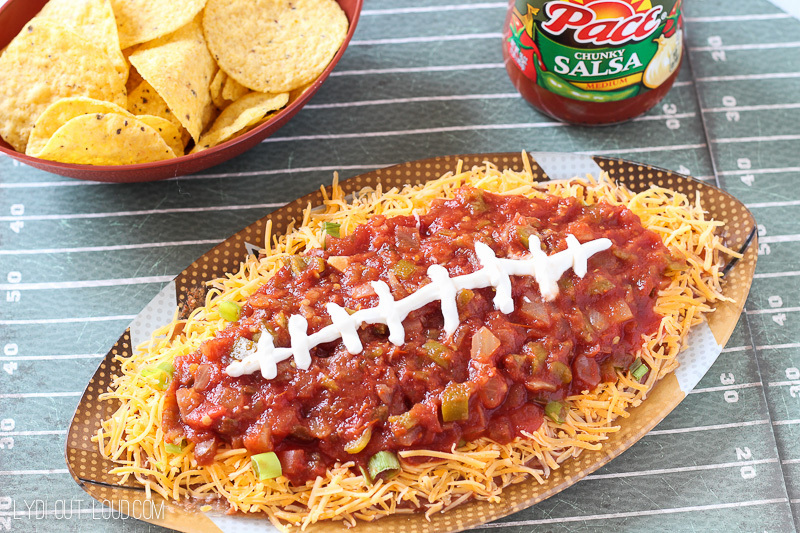 Teh football bean dip is so cute and easy! Love it~ Sharing on FB. Thanks for linking up at #MerryMonday! Those taco bites look amazing! Thank you for sharing at Merry Monday! I love that these look easy to do and a fun!!! Thanks Hope! And yes they’re very easy to do! I love that these look so doable in a short time and make a striking presentation.